Katie Calabrese, CMP has been named Director of Tradeshows & Conferences of the New Orleans Ernest N. Morial Convention Center – the seventh largest convention center in the nation. In her new role, Calabrese will direct activities of MCCNO-produced trade shows and conferences such as the International Disaster Conference & EXPO and the Farm to Table International Symposium. Calabrese brings solid event planning experience and knowledge of conventions/trade shows to the Convention Center. Previously, she held the position of Vice President, Events and Education at the Association of Private Sector Colleges & Universities in Washington DC, where she managed all facets of annual educational events. In her 18 years with the Association of Private Sector Colleges & Universities, she rose through the ranks from the role of Membership Manager, to Events Manager, Director of Events, and Vice President. 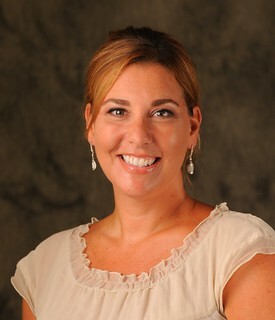 Calabrese received her Bachelor’s degree from Villanova University in Pennsylvania and is a Certified Meeting Planner. “Katie brings extensive experience to our seasoned Trade Show Department, and her hiring represents a continued effort by the Center to be the best in all aspects,” said Tim Hemphill, Vice President of Sales and Marketing. With 1.1 million square feet of contiguous exhibit space, an award winning staff and first class amenities, the New Orleans Ernest N. Morial Convention Center (MCCNO) is the sixth largest convention center in the nation and a consistent Top 10 host of the largest number of conventions and tradeshows annually. A leading rainmaker of the city’s hospitality industry, MCCNO event activity has produced $39.12 billion in economic impact since its 1985 opening, including $2.19 billion in new tax revenue. The International Disaster and Conference Exposition (IDCE) is an annual international forum that brings together leading public and private sector professionals to address the critical areas of disaster mitigation. IDCE focuses content and programming around the principal of public-private partnerships as the key component to planning, response and recovery efforts on a national and international scale. For more information, please visit: www.internationaldisasterconference.com. The Farm to Table International Symposium (F2Ti) is an annual event featuring the brightest thought leaders and leading practitioners in the burgeoning farm-to-table movement. F2Ti explores the cultivation, distribution, and consumption of food and drink sourced locally. Topics include the best practices for urban farming, bringing products to market, sourcing locally, sustainability and the latest with the imposing Food Safety Modernization Act. F2Ti is produced by the New Orleans Ernest N. Morial Convention Center in partnership with the SoFAB Institute and the LSU AgCenter. For more information, please visit: f2t-int.com.